500 8.5x11 Printed Laser Checks. 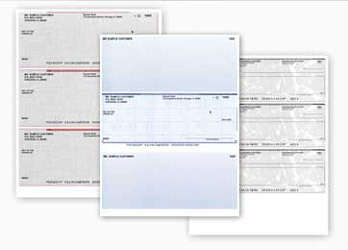 Compatible with most Accounting Software. 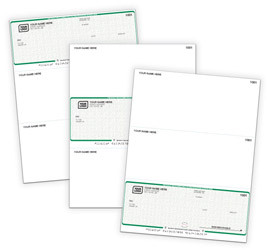 One Check per Page, either TOP, MIDDLE or BOTTOM. Two Stubs. Standard Security Features. 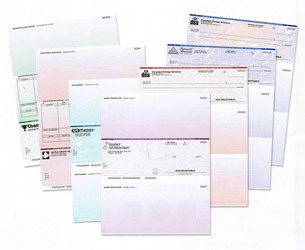 High Security Paper $20 Additional. B&W Business Logo Added $15 Additional. Price includes Ground Shipping within the continental USA. For Express Shipping or Shipping to other locations, please contact us.